Like an ancient mariner charting the coastline of an unexplored wilderness, Cassini's repeated encounters with Titan are turning a mysterious world into a more familiar place. 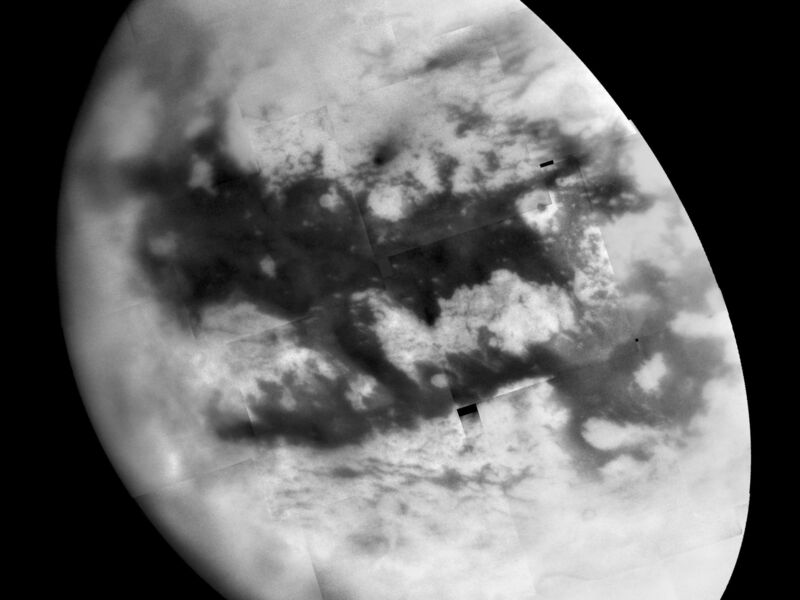 During a Titan flyby on Sept. 7, 2005, the spacecraft's narrow-angle camera acquired multiple images that were combined to create the mosaic presented here. An annotated version of the mosaic, showing provisional names applied to Titan's features, is also available (see PIA07753). 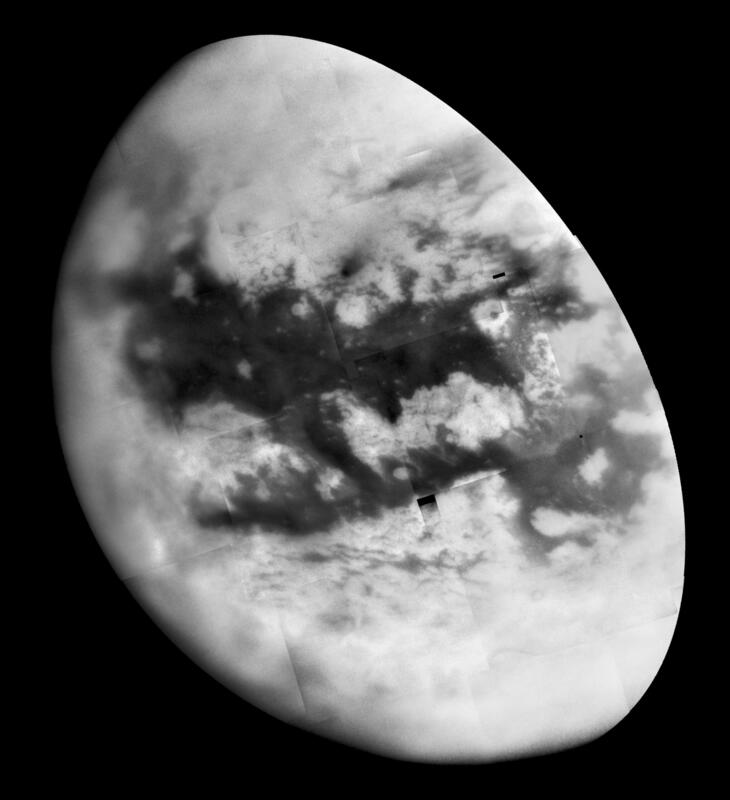 The image shows more than half of Titan's Saturn-facing hemisphere at moderate resolution, including the Fensal-Aztlan region, formerly "the H." This view is centered at 6.5 degrees north latitude, 20.6 degrees west longitude, and has a pixel scale of about 2 kilometers (1 mile) per pixel. 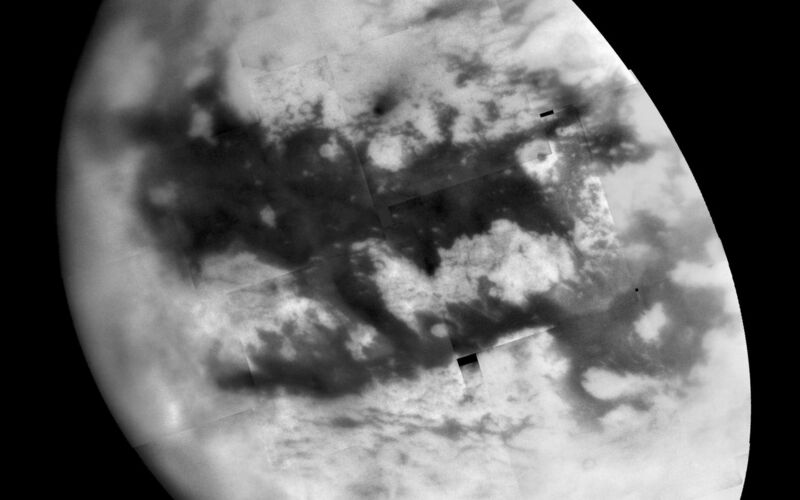 It is an orthographic projection, rotated so that north on Titan is up. This view is composed of 20 images obtained on Sept. 7, 2005, each processed to enhance surface detail. The central portion of this mosaic was previously released (see PIA07732).